Creating and managing colorful tables has never been more intuitive and straightforward with this plugin. The visual editor lets you add, edit, change cell formatting in a familiar, spreadsheet-like way. Avoiding the database, all the data is stored in a single shortcode, thus making it extremely easy to transfer between different posts or wordpress installations. Easy to use interface, zero coding skills required. Change font and cell color. Make font bold, italic, underline and strikethrough. Choose custom border color and style (row, cell, column, theme and none). Custom row color on mouse over (optional). Full support of horizontal and vertical alignment. 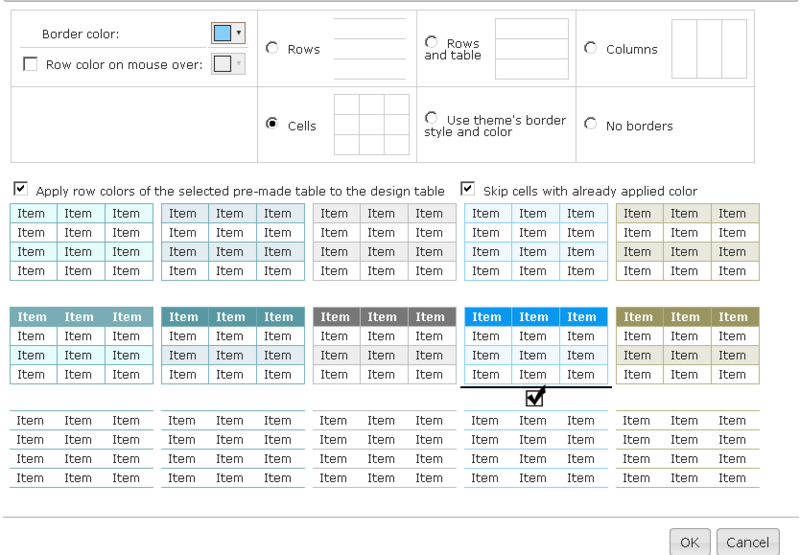 Custom table width and cell padding. 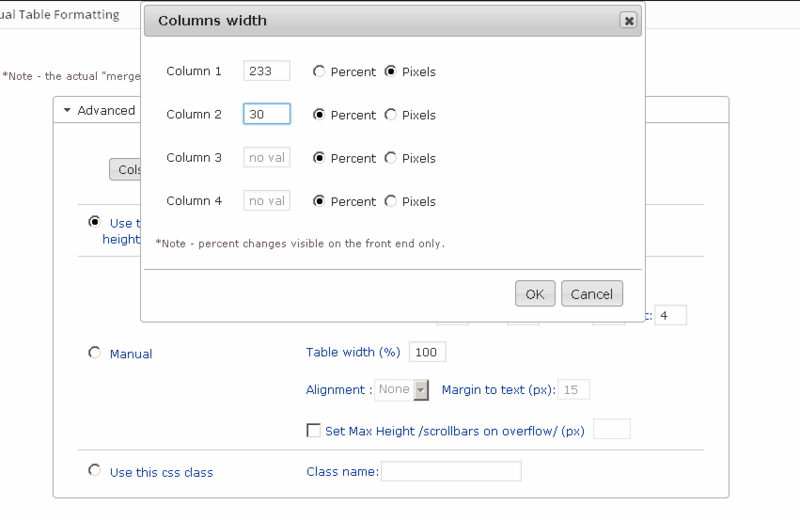 Custom column width – percentage or pixels. 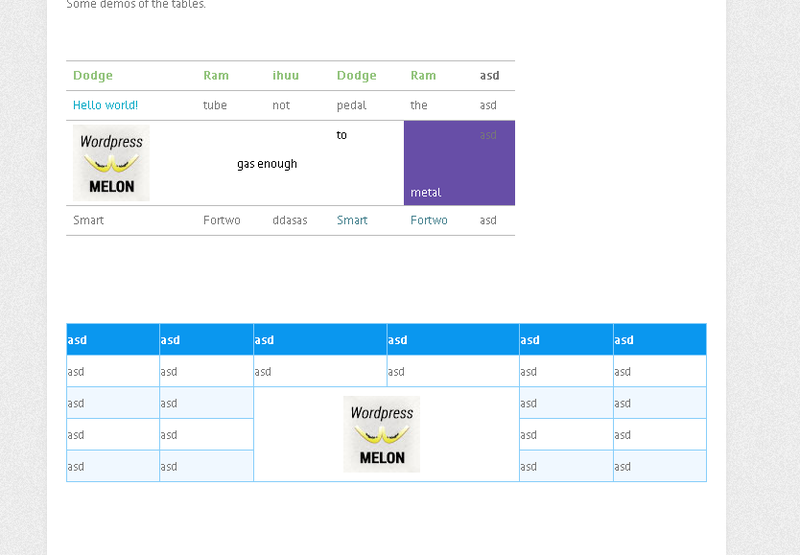 Has 15 predefined table styles. Import used shortcodes or delimiter-separated values. - Importing data now supports links. - Resolved conflict with themes that hide the main window scroll bar. - Buttons no longer dependent on jquery ui button to work – resolves conflict caused by Visual Composer. - Fix for the link dialog in WordPress 4.2. - Add nofollow to links. - Revised design – plugin again available to custom post types. - Fix for dialogs in WordPress 4.1. 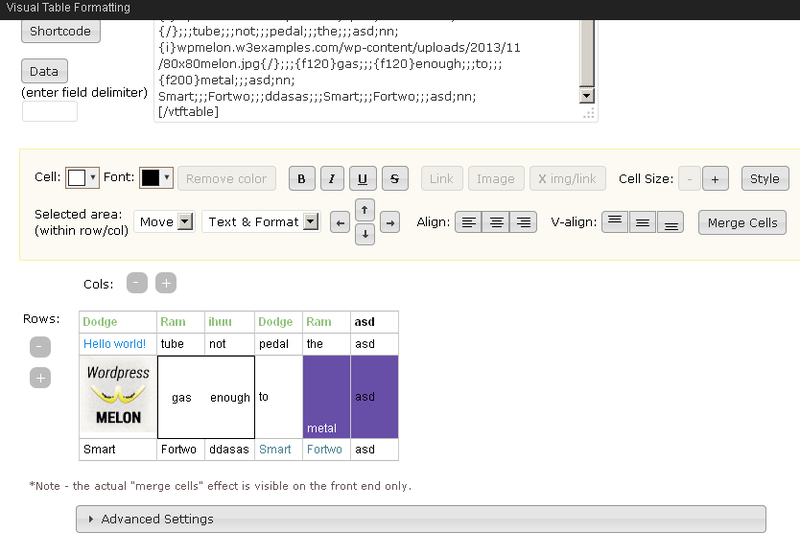 - Html support in table cells. - Improved protection from css conflicts. - Align table left/right (when width < 100%). - Set maximum table height and show scrollbars on overflow. - Link dialog fix for WordPress 3.9 (updated on 23 April). - Style dialog fix for WordPress 3.9. - Shortcode support in table cells.